Hi - I have the newest version of the Gear VR with controller. 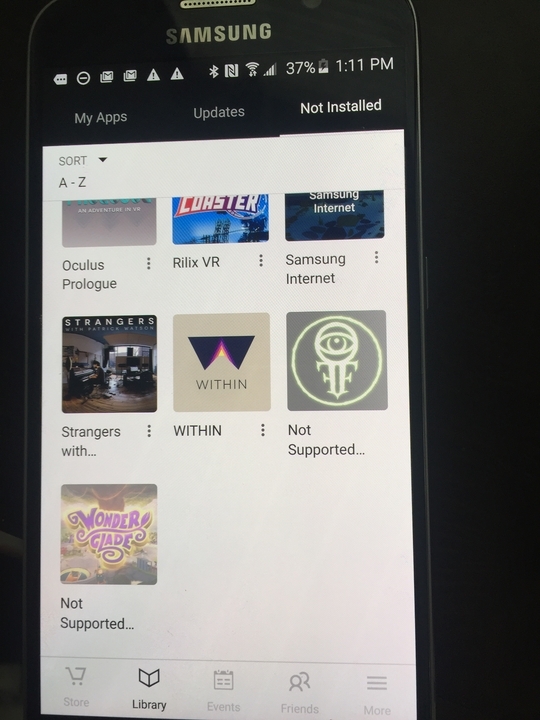 I downloaded Wonderglade which should work on that device but it says app not supported for this device. Does anyone know how to resolve this? Is there a way to delete the game and redownload it? What phone do you have? It seems to be supported on my S8 test phone.